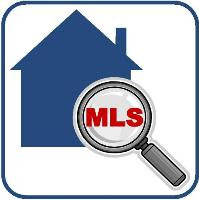 Zillow is probably the best known AVM (Automated Valuation Model) with valuations for over 100 million homes throughout the county. 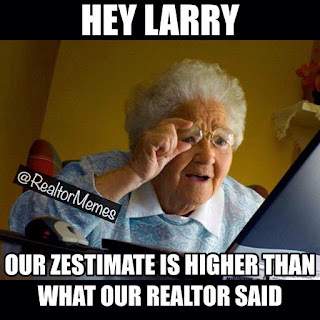 According to their website, these valuations are determined using a proprietary formula combining both public data as well as user submitted data; but have you ever wondered just how accurate those home values are? 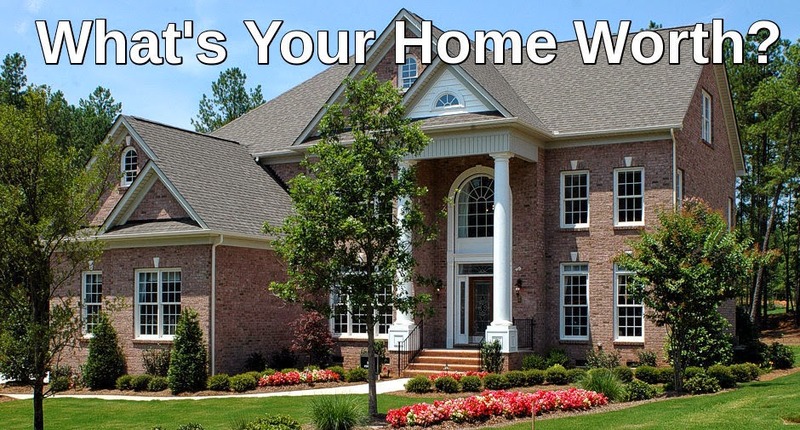 I can't tell you how many times I've heard people say "But Zillow says my house is worth more!" A quick anecdote, 2 years ago in 2016, Zillow's CEO Spencer Rascoff, sold his home for 40% less than its Zestimate and bought another home for $1,000,000.00 more than it's Zestimate. 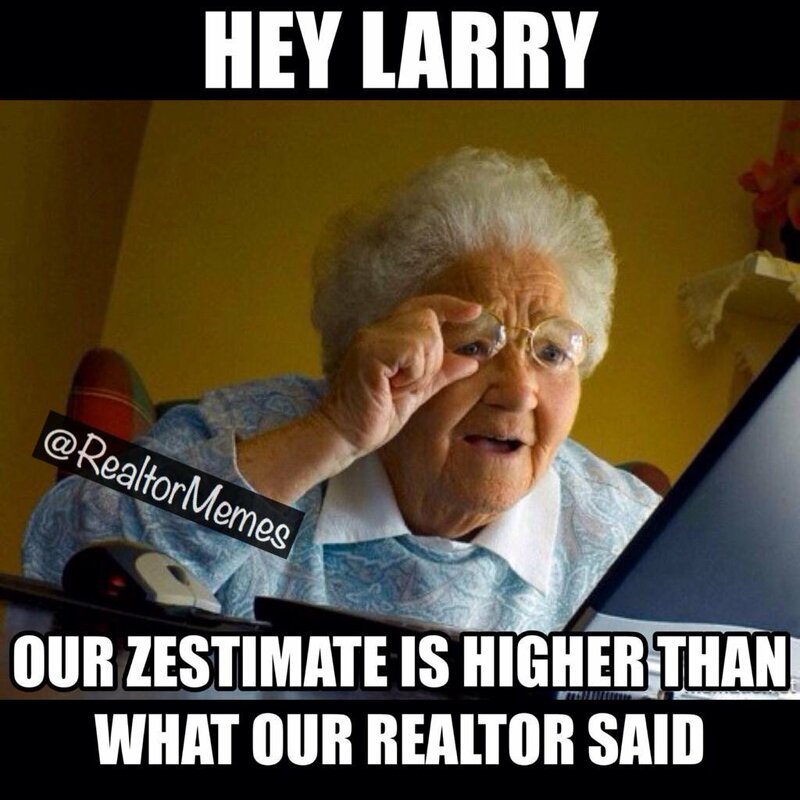 A Zestimate is only as good as the quality of data and even Zillow says that the Zestimate is a starting point to determine home value. The Zestimate algorithm has been updated several times since 2006 with the latest update in 2011 and valuations have improved over time, with some areas of the country having a higher degree of accuracy than others. 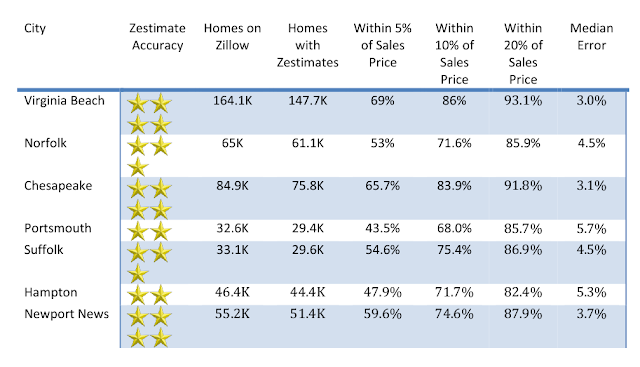 So you might be wondering, what about the Zestimate for the Hampton Roads market? 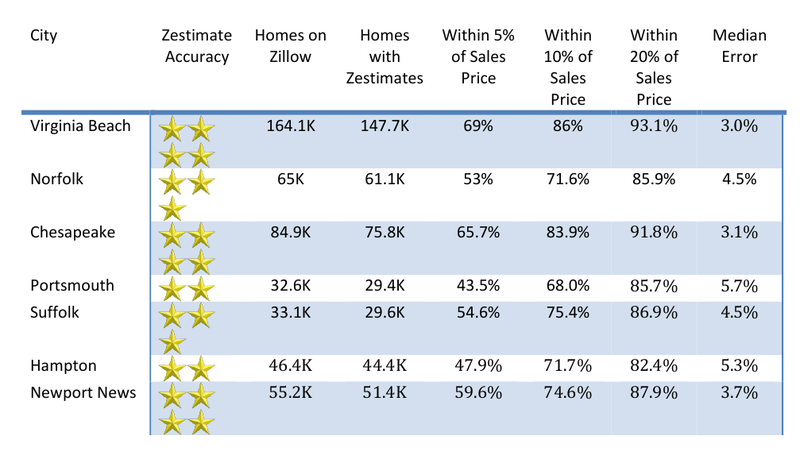 Zillow's star rating ranges from 0 to 4 stars with 0 meaning no valuation provided and 4 stars meaning the most accurate Zestimate. Hampton Roads cities rank between 2 and 4 stars and perhaps more importantly shows home values being accurate within 5% of the sales price ranging from 43.5% of the time in Portsmouth to 69% of the time in Virginia Beach. 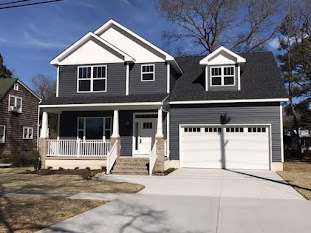 Said another way, if you own in Portsmouth, your home Zestimate has a 43.5% chance of being within 5% of the sale price and if you own in Virginia Beach, your home Zestimate has a 69% chance of being within 5% of the sales price. 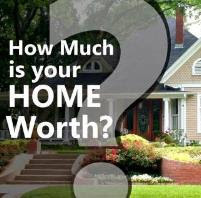 If you are considering selling or are just curious about home values in your neighborhood, feel free to contact me!